Shrewsbury Town centre-back Reuben Hazell was simply surrounded by the sounds of reggae growing up and such a solid grounding in musical appreciation was always likely to have a lasting impact. Birmingham-born but with Jamaican roots, Reuben, 32, is a big music lover and holds the tunes that rang out in his childhood close-by as he passes them on to his children today. “It was reggae, reggae and more reggae – that’s all we knew. Mum would play her records on a Sunday morning while she cooked Sunday dinner and we would wake up to the beats of Bob Marley, Peter Tosh, Beres Hammond, Morgan Heritage and lots, lots more. “I remember those days like yesterday and still play those tunes to this day in my house for my kids to listen to. It wasn’t until much later in my childhood I was privy to other types of music and realised it wasn’t only reggae that existed. 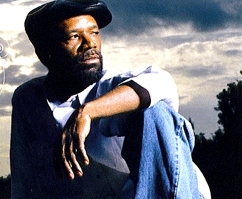 Singer Beres Hammond formed part of the soundtrack to Reuben's youth. As the former Aston Villa and Tranmere Rovers youngster touched upon, he became appreciative of many other styles as he grew older and his current list of favourites contains some diverse choices. “I’m loving Wretch 32, his album is the one right now and Trey Songz has a new mixtape called ‘Trigga Lifestyle’ which I’ve started listening to, I rate him highly. I’ve just lost my iPod touch and Bose headphones so recently I’ve been trying to download my favourite artists and songs onto my iPad. “I’ve got to also mention Jagged Edge and Musiq Soulchild. I’m a huge Biggie Smalls fan and the argument rages on about who’s best out of him and 2Pac. “It’s Biggie for me, hands down, but don’t get me wrong 2Pac is very special too. At the other end of the scale regarding genres I’m a big fan of Take That, which might sound strange but they produce hit after hit and their songs always seem to grow on me. As the stock question of the first record bought comes into play, the King Of Pop gets another mention on the site, as well as a boyband who were riding high in the late 80s/early 90s. 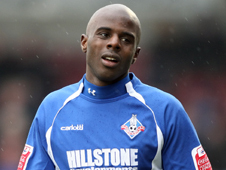 Prior to joining League Two Shrewsbury this summer, Reuben spent four League One seasons in the North West with Oldham Athletic, and his music memories of the club are just as strong as the on-field ones. “Now we are talking, Oldham was carnage, everyone thought they were the next DJ Spoony or Fatboy Slim. I even got bantered about my iPod once but that was mainly because I was a few years ahead of the rest with music! “I came up with the idea of if you put your iPod in and we win it stays in, and we still couldn’t agree on that. In the end I would say Dean Furman’s iPod served us best but he was a Safety Sam going for pop hits which all made it to number one in the charts! 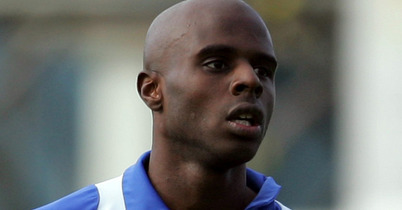 Joining Oldham in 2007 after two years with Chesterfield, Reuben reluctantly left Boundary Park this summer after his wish of a two-year contract extension with the Latics was only half met. Despite that, as the natural ease of his talk of his former teammates’ music tastes indicates, the togetherness between the players was extremely strong and has left Reuben with enduring recollections of a positive time in his career. 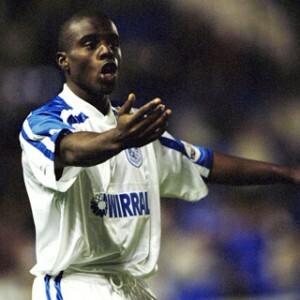 “I went there to hopefully get promoted to the Championship as when I joined they had just missed out the year before. We had some really good players, young and old, and had a great mix of talent and ages in the squad. “Unfortunately we missed out on promotion again on two more occasions which eventually led to the sacking of John Sheridan, who I really liked and thought was a good young manager. With Sheridan went the budget, and the managers after him were given even smaller budgets and had to rely more on youth, and still do. “That was hard to take but as a professional you get on with it and I loved every minute of my time there. The highlights were beating Everton at Goodison in the FA Cup and also going on to captain the club in my last season, in which we had the best team spirit I’d ever witnessed and some really good young players I felt like an uncle to. His current club Shrewsbury are 6th in League Two at present, nicely in touch with 3rd place Morecambe (a point behind) as they look to atone for last season’s play-off semi-final disappointment this time around. Reuben had made ten appearances, including against the team he supports Arsenal at the Emirates Stadium in the Carling Cup, before suffering a serious knee injury against Torquay United in September. The outlook looks considerably brighter now compared to the original estimated recovery time and he speaks with the utmost confidence about the Shrews’ future as a club, as well as on the subject of the music! “My early impressions of Shrewsbury are nothing but first class, this has made me realise it was the right move to make. Ever since the first day I met the manager and chairman I knew it was the place for me to play my football. “The set-up is ready to go up the leagues and the staff and players will leave no stone unturned in making sure we give it our best shot. Preparation and professionalism is key and both are etched amongst the walls of the stadium and anyone who knows what a perfectionist/moaner I am will see that this club is right up my street. Winning promotion from League Two with Torquay United in 2004, Reuben (also to have a spell at Kidderminster Harriers) was part of the Tranmere Rovers team who embarked on some well-known cup runs, which even as a neutral I vividly remember watching around the age of 10 and 11! Under the management of their former goalscoring hero John Aldridge, the Prenton Park club reached the quarter final of the FA Cup in 2000 and 2001, as well as a never-to-be-forgotten Worthington Cup final with Premiership Leicester City in 2000. “My Tranmere days I look back at with mixed emotions. First of all John Aldridge I think was the most vocal manager I played under and probably the most old school type I’ve had in my career. 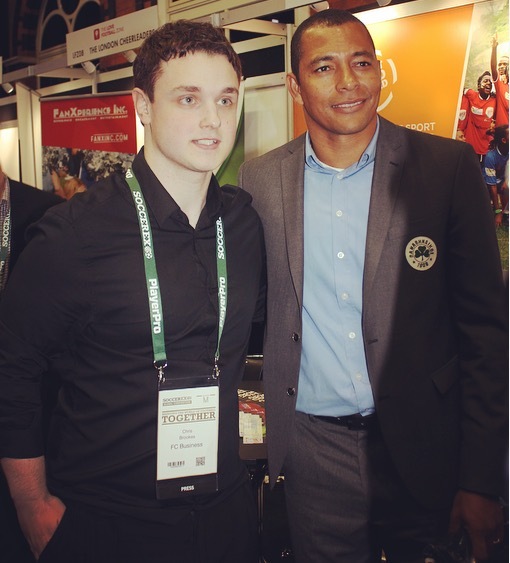 “I would always want to start on the opposite side of the pitch to the dugout for obvious reasons! We were a really drilled side and teams hated playing against us, especially at Prenton Park, a bit like Stoke are now. 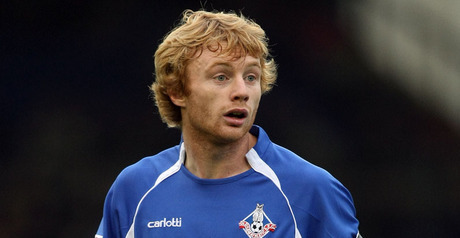 Tranmere defeated Sam Allardyce’s Bolton 1-0 at the Reebok Stadium with a Clint Hill goal, before a 3-0 success in the home match where Nick Henry, Alan Mahon and David Kelly got the goals to set up a Wembley final where Reuben played at the age of 20. “To beat Bolton over two legs to reach the last League Cup final at the old Wembley where we met a tough Martin O’Neill’s Leicester was one of, if not the best days of my footballing career with all my family and friends there. I remember how nervous I was and how quick the game flew by, Leicester were probably the best equipped side in England to deal with how we played. After that trip down Memory Lane, situated on this occasion in Birkenhead, that brings us up to the here and now and Reuben is targeting a fairly swift return to fitness, while also casting an eye toward his longer-term future. “Obviously the injury is holding me back right now which is pretty frustrating and I can’t wait to get fit and back playing again. I’m doing all I can with the physio to be back hopefully before Christmas so I can play a part in achieving our goals this season. “It’s part of our job and I’ve got to count myself lucky that I’ve been fortunate over the years regarding injuries and that I also have a chance of playing again this season. I’m really getting into this agency business now and want to help young players’ careers flourish whilst I guide them in an environment I know all too well about.